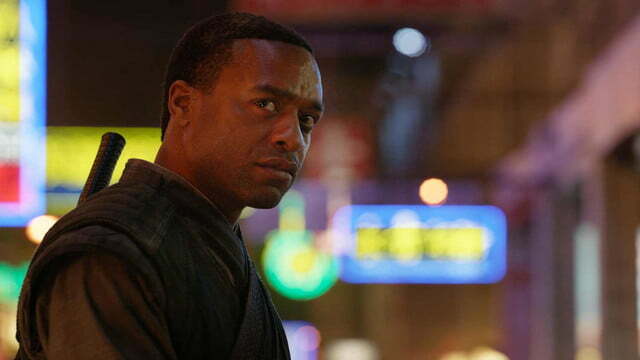 Every year, five films are nominated for an Academy Award in the “Visual Effects” category. 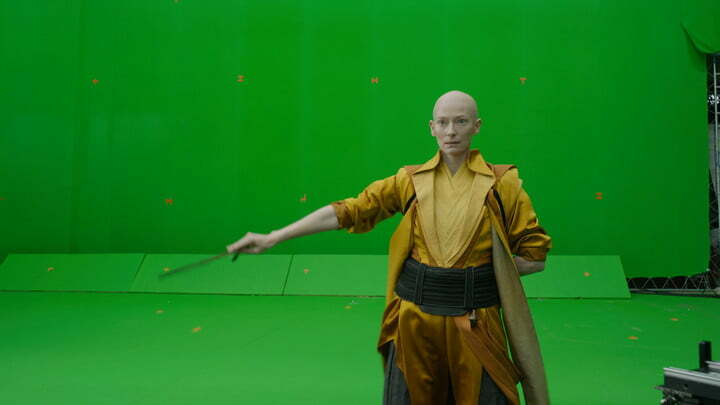 Each of the projects nominated this year offer a unique, inside look at the amazing tricks filmmakers and their talented effects teams use to pull off the visual spectacles that make for a big-screen blockbuster. In recognition of these five films — and one of our favorite Oscar categories — we’re putting the spotlight on one “Visual Effects” nominee each day leading up to Sunday’s broadcast, and taking a closer look at what made them stand out. Previously, we looked at the visual effects in real-world drama Deepwater Horizon, which recreated a terrifying disaster by combining a monstrous set, highly advanced software, and advanced practical effects. 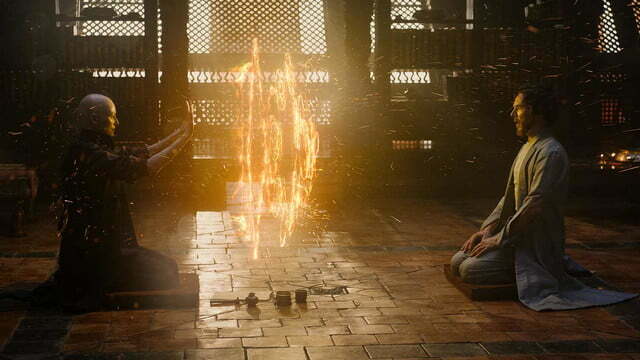 Now we’re exploring the reality-bending sequences that earned Marvel Studios’ Doctor Strange an Oscar nod. 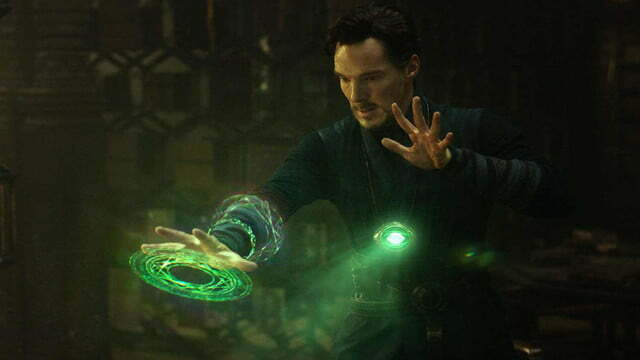 Marvel Studios has seemingly found the formula for success with its cinematic superhero universe. 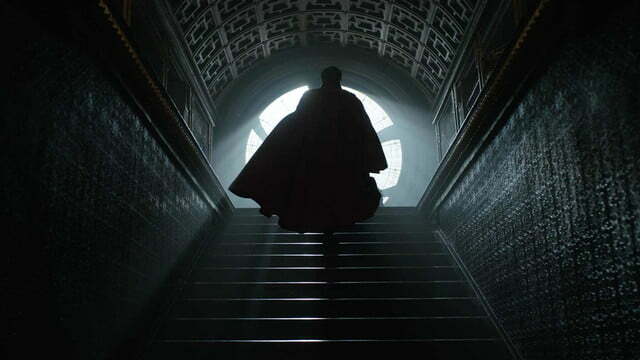 One of the many reasons for the studio’s winning ways is its willingness to go in bold directions with its stable of characters, and you’ll find few superheroes more unique than Doctor Strange, the gatekeeper to the occult corners of Marvel’s fictional universe. 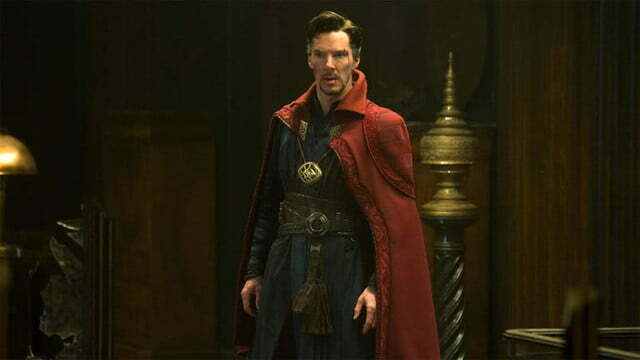 The decision to bring the superhero sorcerer to the big screen in last year’s Doctor Strange was just the latest gamble for Marvel, which previously rolled the dice on a cosmic team of C-listers in Guardians of the Galaxy and saw their bet pay off far beyond expectations. 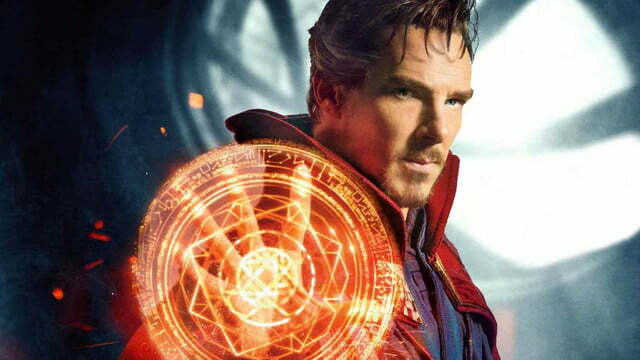 Where the latter film extended Marvel’s movie-verse into space, however, Doctor Strange brought it to new dimensions – literally – with supernatural, occult elements unlike anything the franchise had previously explored. 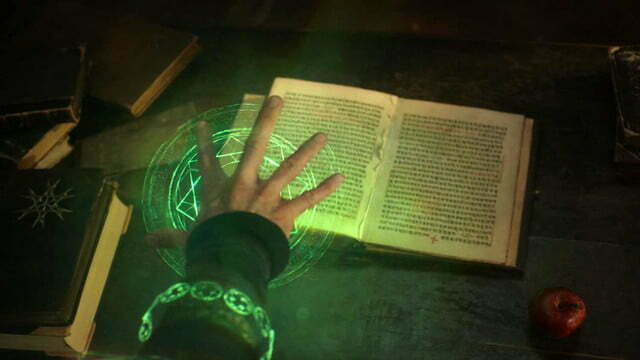 The task of bringing these elements to life fell to director Scott Derrickson – no stranger to the occult, having helmed the 2005 horror thriller The Exorcism of Emily Rose and 2012’s Sinister – and a talented visual effects team led by Academy Award nominee Stephane Ceretti. 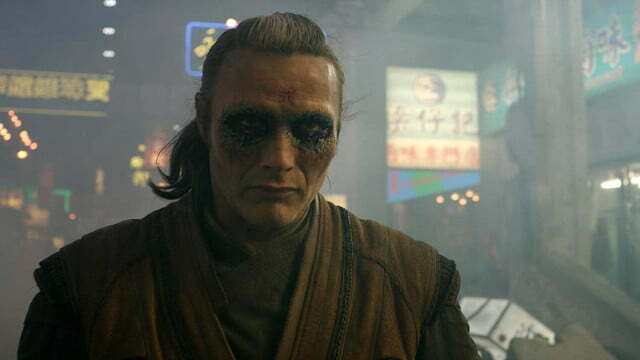 Strange is tossed through a series of distinctly different dimensions that open his eyes – and his mind. 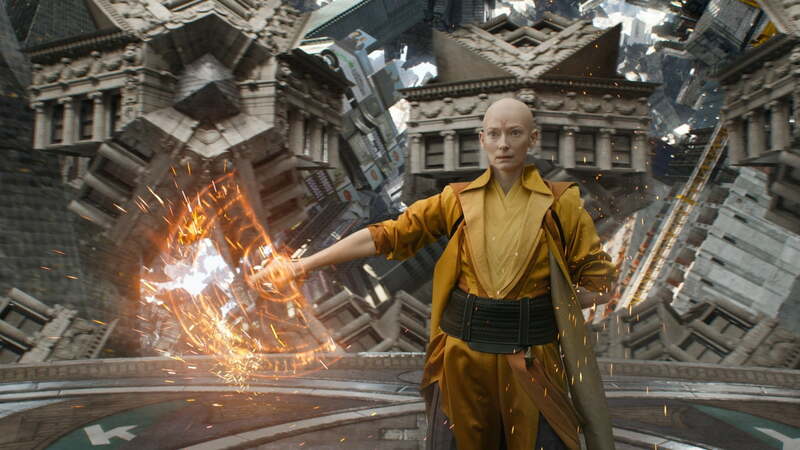 Previously nominated for his work as the lead visual effects supervisor on Guardians of the Galaxy, Ceretti was tasked with crafting not only the visual representation of the sorcery wielded by the film’s characters, but also entire dimensions where the laws of physics don’t apply. 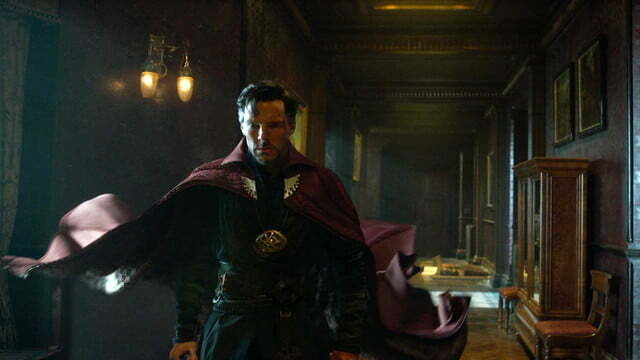 Using some of that imagery as a jumping-off point, Ceretti and the team of visual-effects artists were faced with the task of creating a series of unique dimensions that actor Benedict Cumberbatch’s titular sorcerer would traverse at various points during the film. 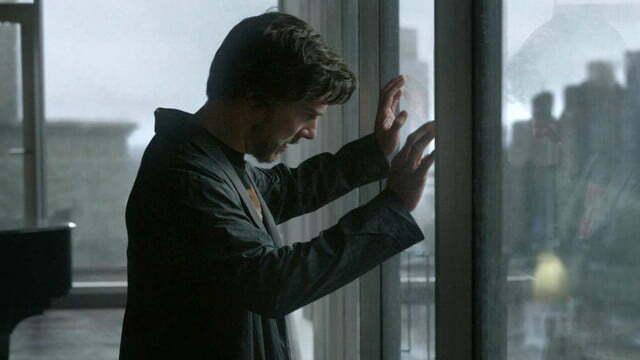 In the “Magical Mystery Tour” sequence described by Ceretti, Cumberbatch’s character finds himself tossed through a series of distinctly different dimensions (including the aforementioned Quantum Realm that was introduced in Ant-Man) that open his eyes – and his mind – to the existence of environments ungoverned by everything we understand about reality. 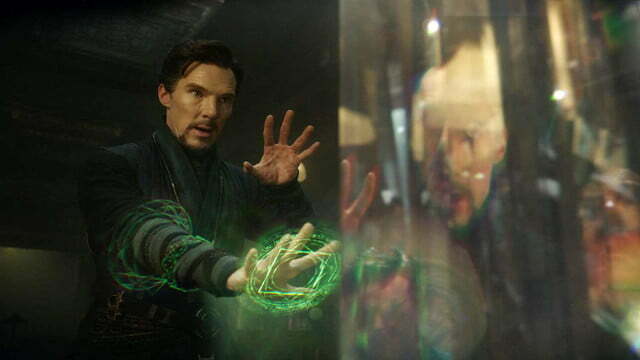 One particular scene, which was inspired by a trippy scene in one of the early comic book adventures, finds Doctor Strange falling through his own eye as he hurtles through a mind-warping dimension. 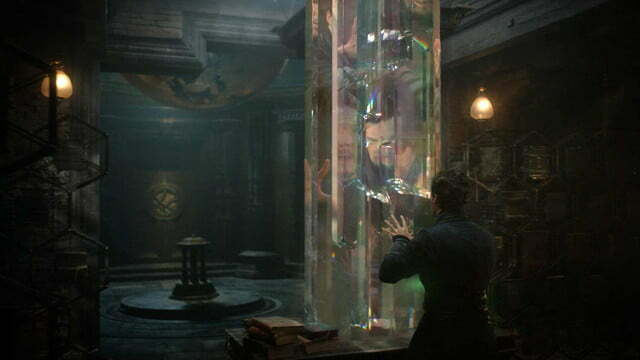 Creating these dimensions not only demanded that Ceretti and the film’s creative team develop visual concepts for each environment, but also a set of rules that governed them. One thing they were never short on, though, was ideas. “Ideas were coming from everywhere, to be honest,” he laughed. According to Ceretti, Derrickson and nearly every other person involved with the scene offered up a wide variety of suggestions regarding the dimensions Doctor Strange would pass through along his journey – enough ideas, in fact, that the sequence initially ran for 7 minutes of reality-warping action. 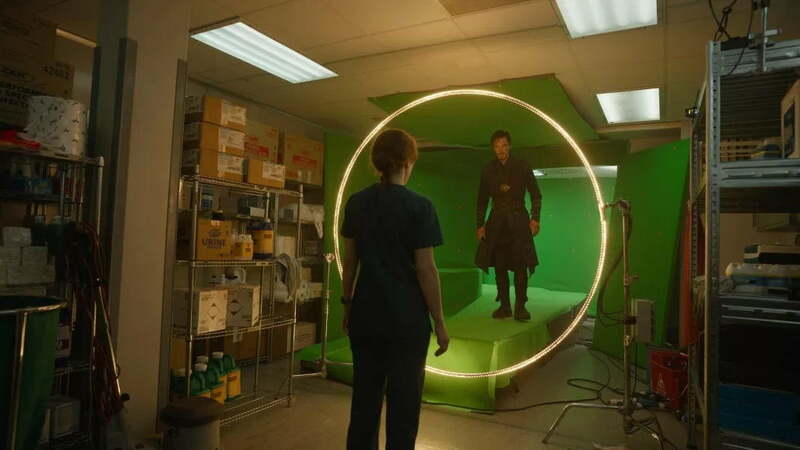 Amid all of the trippy visuals, though, Ceretti acknowledged that the focus of the sequence needed to stay on Cumberbatch’s character – and that using him as the anchor for the effects-laden journey is what really makes it work. 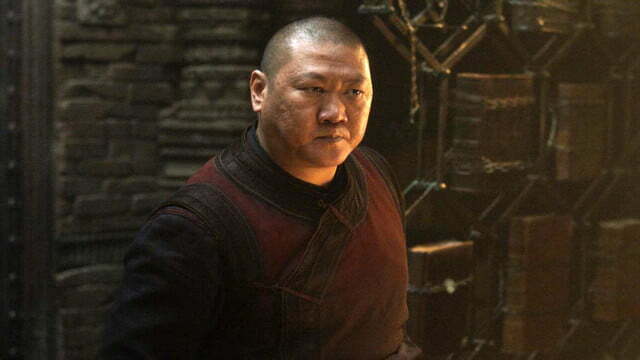 “It’s all about figuring out the pace of the scene and how we figure out whether the visual effects are serving the story and not taking over,” he added. 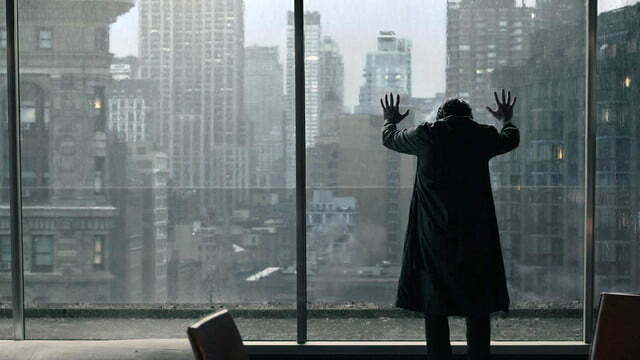 That same philosophy was applied to one of the film’s other memorable sequences: A fast-paced chase through a dimensional variant of New York City where sorcerers are able to twist and manipulate the landscape, folding skyscrapers and shifting the force of gravity at will. 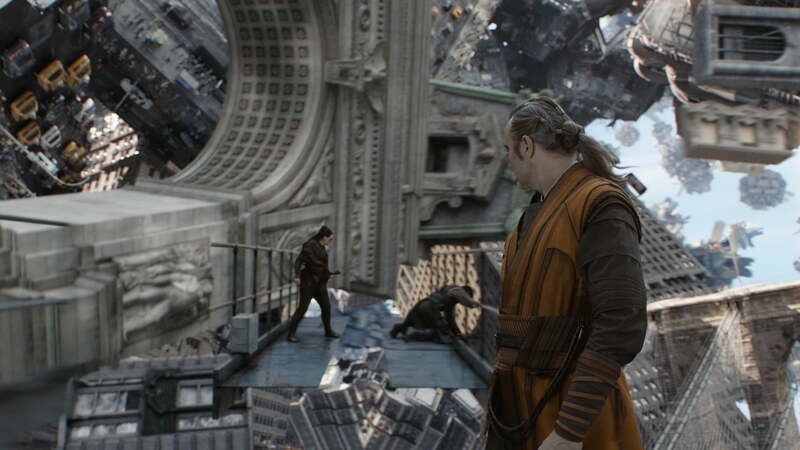 Internally known as the “Mirror Sequence,” the scene took an MC Escher-like approach to the streets of Manhattan that also evoked Christopher Nolan’s Inception. 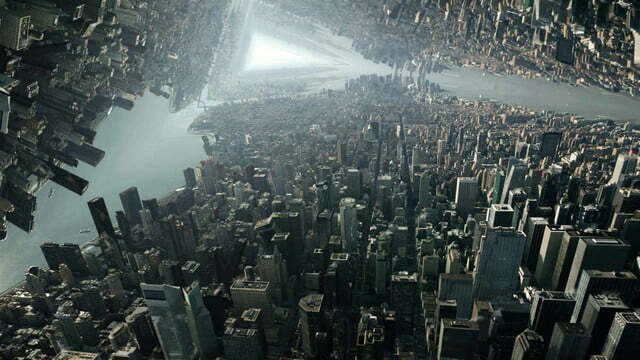 Along with finding inspiration for the sequence in the work of Escher and other visual artists, Ceretti and the visual-effects team also found it useful to filter the digital models of Manhattan at their disposal through various kaleidoscopic and mirrored lenses. The sort of environments that resulted from this visual filtering then informed the manipulations that made it to the screen. 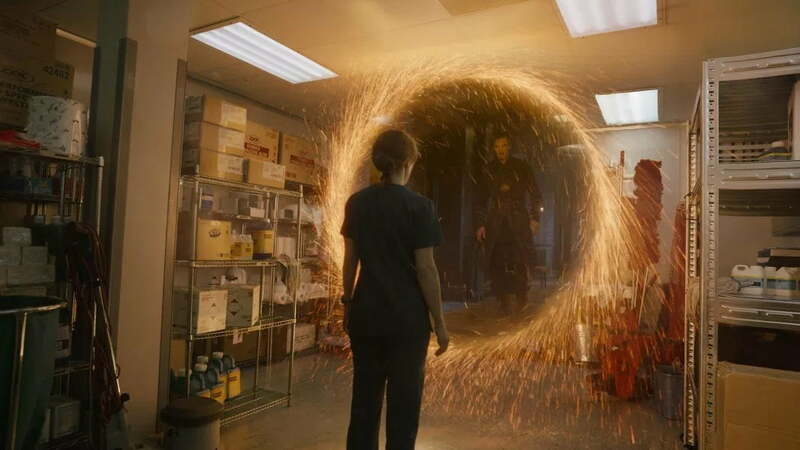 The film’s visual-effects supervisor also admitted to finding some additional inspiration for the sequence in a surprising place: a mobile game the team had been playing on their phones. 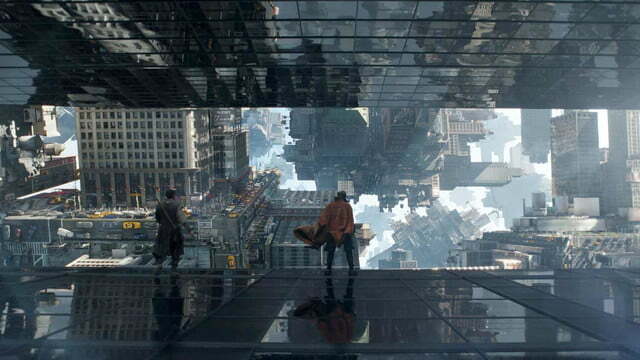 Simply conceptualizing how they wanted to bend and fold the streets and towers of New York City wasn’t enough, though. 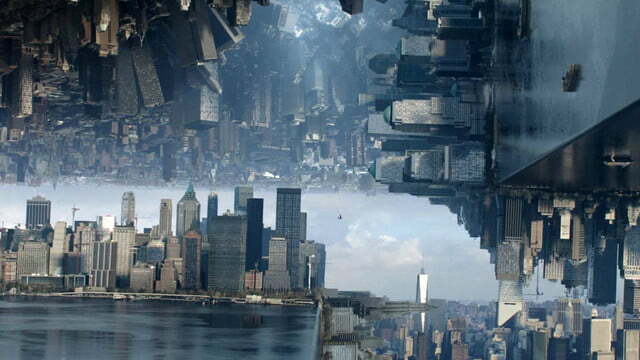 They also needed a realistic, digital model of the city that could handle the sort of manipulations they envisioned. 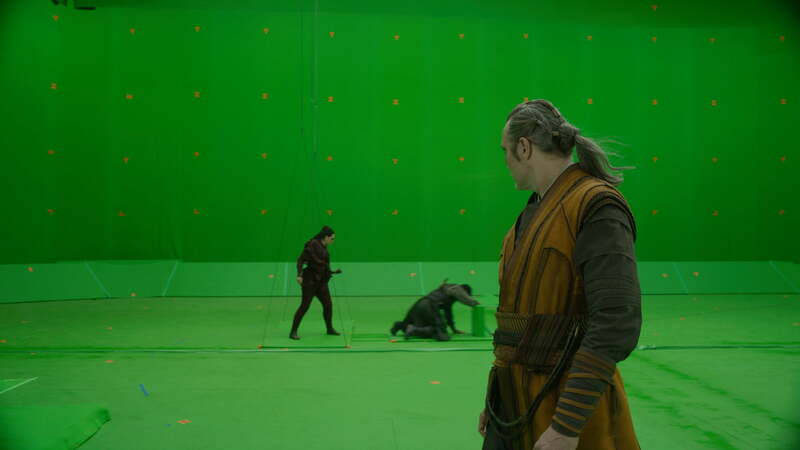 Fortunately, Disney-owned visual-effects studio Industrial Light and Magic proved more than up to the task. 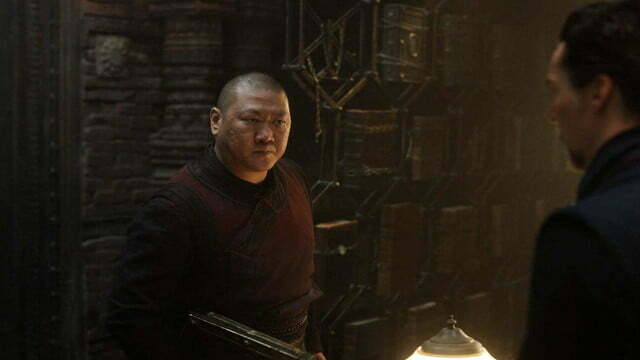 The end result is a sequence that takes all of the reality-bending aspects of the earlier Magical Mystery Tour scenes and applies them to a familiar, real-world setting that offers a more relatable presentation of the powerful magic at play Doctor Strange’s world. 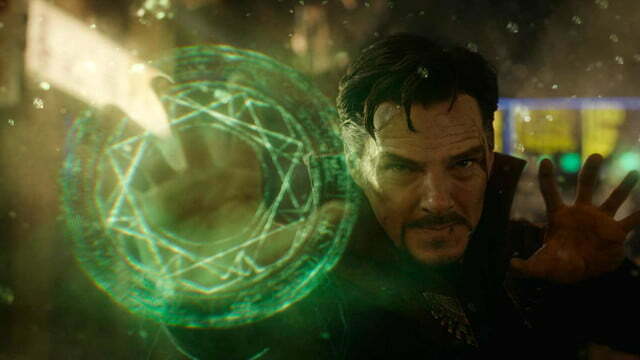 Now, with less than a week until the Academy Awards ceremony, the Doctor Strange team is hoping to pull off one final magic trick: Bringing home an Oscar. The 89th Academy Awards ceremony will air Sunday, February 26, at 7 p.m. ET on ABC.